The Q-Proxy® is a Proxy Server built using two open source packages, Squid and SquidGuard, running on an extremely ultra small form factor, ultra-low power consumption server. Squid is the leading open source proxy package. SquidGuard is a URL redirector, which enables Squid to use blacklists, including both custom blacklists and blacklists provided by MESD, Shalla’s Blacklist, the Université de Toulouse Blacklist Collection, and URLBlacklist.com to block access to web sites. Using SquidGuard and a blacklist enables network manages to easily enforce their organization's Internet usage policy. The Squid proxy server software supports caching for HTTP, HTTPS, FTP, as well as other web services. In addition to controlling user access to web sites and web services, the Q-Proxy conserves WAN bandwidth by eliminating multiple WAN requests for the same web pages or files. They are accessed instead from the Q-Proxy’s cached content. This makes WAN bandwidth available for new content, rather than repeated WAN downloads of the same content by different users. An example of this would software that has to be installed on multiple PCs, such as Windows Security Patches or an application. By caching the download on the Q-Proxy, WAN bandwidth is used only for the original download. The downloads to the network computers from the Q-Proxy will also be much faster, occurring at the speed of the LAN, which is typically much, much faster than the WAN connection. The Q-Proxy is especially useful for conserving shared cellular bandwidth, or any metered broadband service. By deploying the Q-Proxy, expensive WAN bandwidth is conserved, which helps administrators avoid costly bandwidth upgrades, and for areas where no additional bandwidth can be bought, or bought economically, makes far better use of the existing bandwidth. The Q-Proxy comes with 120 GB of storage for cached files. Squidis the leading open source, enterprise-class, proxy server software solution. SquidGuard is the leading open source URL redirector. It combines custom black lists along with blacklists from either MESD, Shalla’s Blacklist, the Université de Toulouse Blacklist Collection, or URLBlacklist.com. Calamaris parses all the log files and generates reports about peak-usage, request methods, status-report of incoming and outgoing requests, second and top level destinations, content-types, and the Q-Proxy’s performance. The Q-Proxy has both 1000 mbps (gigabit) NIC and 802.11 b/g/n WiFi. The Q-Proxy network appliance is also available as a Virtual Machine (VM). The Q-Proxy is completely administered through a Web GUI. No Command Line Interface (CLI) or Linux skill is required. Notifications are provided by e-mail using SendMail, which is configured with a module in Webmin, and syslog entries. 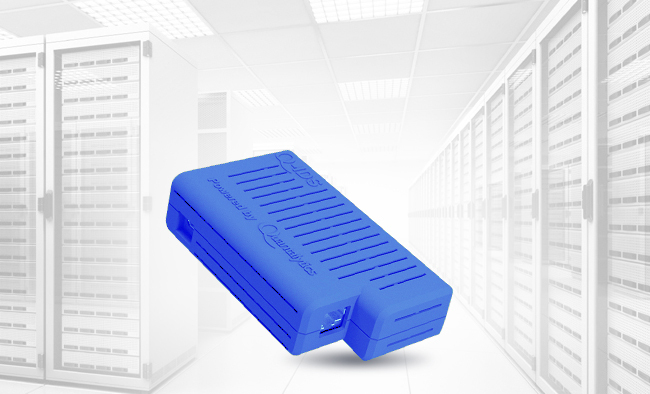 The Q-Proxy network appliance can be integrated with Nagios® on the Q-Box® as another notification route. SMS notification is available as an option. The Q-Proxy network appliance can also be integrated with the Q-Log® network appliance or any other syslog or SIEM solution. Q-Proxy® and all registered trademarks above are property of their respective owner(s).